I love fountain pens. As a child growing up in the UK, I was the recipient of a wonderful educational tradition. From the ages of four to eight we were required to write in pencil. No cheap pens, no markers. Just nice sharp pencil. 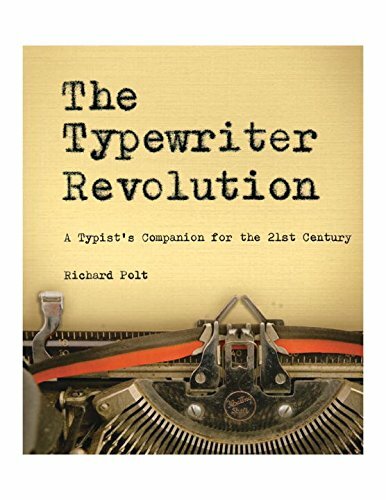 Then at eight, en masse we graduated to the privilege of writing with fountain pens and began to learn Italic. No cartridge refills either. In the corner of every classroom stood the ink table. And on it sat several patient bottles of Quink Ink and a swathe of blotting paper for mop up operations. We could take a square of the rough absorbent paper back to our desks for use when writing but the big cache was for the refill table. Our fingers continuously bore the marks of the recurring task. Unscrew the barrel of the pen. Carefully remove the ink bottle lid. Dunk the pen nib in the bottle beneath the level of the ink. Squeeze the rubber reservoir, expelling leftover ink and air; release and feel the thick suction of ink pull satisfyingly back in. Repeat, just to be sure. Draw the pen out of the bottle slowly (a step at which most eight-year-olds failed); tap nib to glass bottle rim and watch the extra ink dribble back. Wipe the pen; miss several spots. Return to desk and promptly find those spots. Wipe ink covered fingers. And start the school day. As a teenager the rules loosened and the options widened but I still chose ink. At home I enjoyed a simple thin mapping pen with its scratchy sharp nib dipped in the ink bottle and used until it ran dry. It had a ridged red plastic handle and the nib could be taken out, turned around and stored with the point inside the body to keep anyone from being stabbed. With this I continuously made imaginary maps and finely detailed drawings. But for writing, doodling and schoolwork I loved German-made Rotring Art Pens with their screw action ink converters, elegant shape and just-right weight. Time and life swept in and cheap little biros and Bics and other ballpoint bulk sales stole the simplicity of the daily ink ritual and I found myself abandoning the ink habit. Thankfully the current sketchbooking revival has signaled for many a return to that habit and fountain pen sales are rising worldwide. Of course, you don't need to use an ink pen to thoroughly enjoy yourself with seeing and making. I created sketchbooks from 2009 onward with Faber-Castell Pitt Artist Pens and Sakura Pigma Microns. They require no upkeep and are relatively cheap. They do have the drawback of quickly losing the precision of their point, developing a 'sweet spot'—or one angle that works—and many that don't. I delayed jumping into the fountain pen sketching world because what I was doing was working well enough and I was overwhelmed by all the options. Also there was the limitation of not having a store in which to physically try out the feel of each pen. However last year I took Liz Steel's online Sketching Now Foundations course and was finally persuaded to return to the joys, benefits and daily ritual of filling and enjoying a fountain pen. Then this summer my eight-year-old asked for a wooden Lamy ABC pen and immediately caught the fountain pen bug thoroughly and completely and encouraged me to keep it up. I encourage you to consider adding a fountain pen or two to your daily writing life and see where it takes you. Use an ink pen every day. Not 'draw every day'. Just ink up that pen and enjoy. It was a daily act of faith in a too busy season, a declaration that I was going to enjoy writing, note taking, list making, more list making, and, yes, even be ready to sketch. And that's just what happened. The Blank Page of Winter passed and I was ready with my pens to document both a cross country family road trip and a recent visit to England, with much dailiness between. I now have my sights set on expanding to other pens. But the two I used this year bridged the gap and serve me well and I will continue to enjoy them. The pens I bought were the very inexpensive and sturdy, metal Pilot Metropolitan, one with a fine nib and one with a medium. Since you can choose different colored designs of bands in the middle of the pen I chose a plain black band for the fine pen and a polka dotted band for the medium one. And despite a lack of local fountain pen access, I did know just where to go to buy the pens: online from the Goulet Pen Company. As you will see from my grainy, excited Christmas Day photos below, Goulet's careful packaging, service and customer care are legendary. 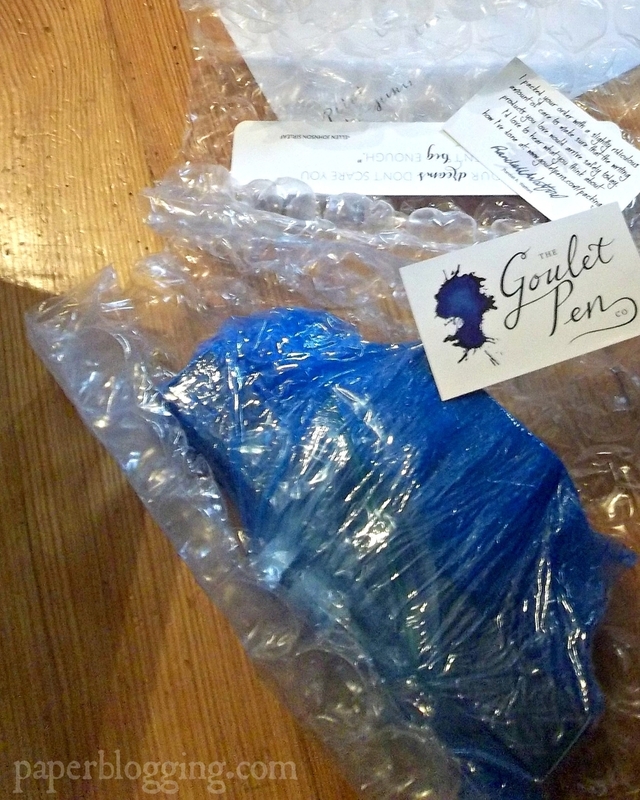 An exciting package from Goulet Pens. Of course the most important packing item: every box contains a lollipop! And abundant packaging. Especially helpful when buying glass bottles of ink! Platinum Carbon Ink. Quick drying, very black and very waterproof. An excellent sidekick to watercolor. If you'd like to learn more about the world of fountain pens, Goulet Pens is a mine of informative on their website, YouTube channel and Ink Nouveau newsletter. And feel free to ask any fountain pen questions below. 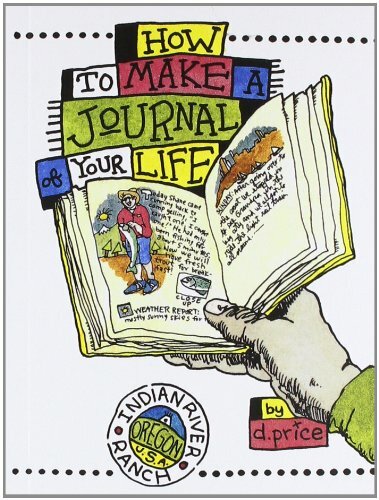 Next time: Need some in-print inspiration or want to give it as a gift? 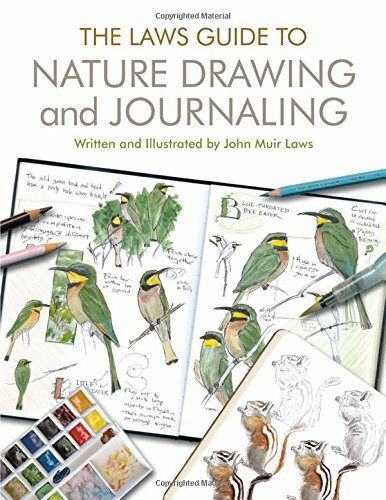 I'll look at some recent sketchbooking titles that make good gifts and who they're suited for.